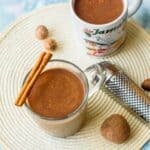 Jamaican hot chocolate recipe – This rich, dense beverage is served during breakfast, made from roasted chocolate balls and sweetened to taste. 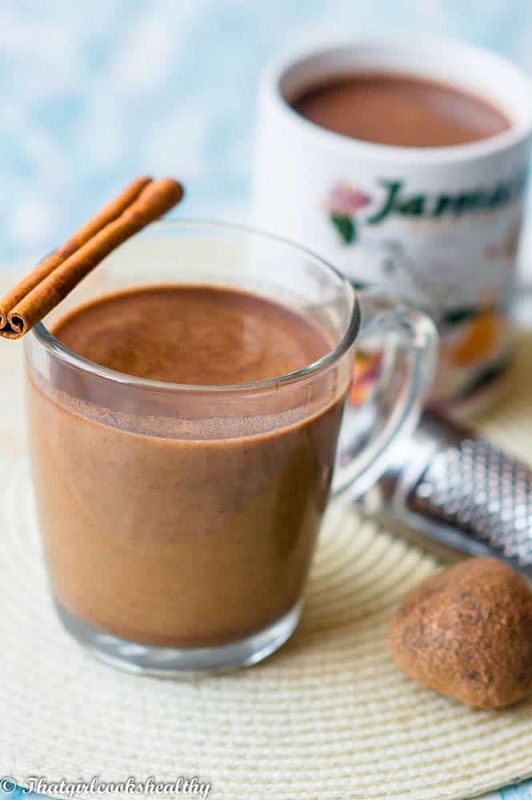 This Jamaican hot chocolate is a true favourite of mine. I love this recipe so much that I think it’s time that I shared my family method of making “tea”. If you like Chocolate that is rich, dense and packs a punch then you need to seriously try some of this hot beverage. I remember growing up my mother and grandmother used to whip up a batch of tea during winter. Living in the UK it wasn’t so easy to obtain the chocolate balls/sticks needed to make this recipe. When I did get hold of some it became a very rare diaspora treat. For some reason my most fondest memories of Jamaican hot chocolate was centred around Christmas. We would serve our national dish along side a hot cup of chocolate tea. Right before we were allowed to open our Christmas presents. 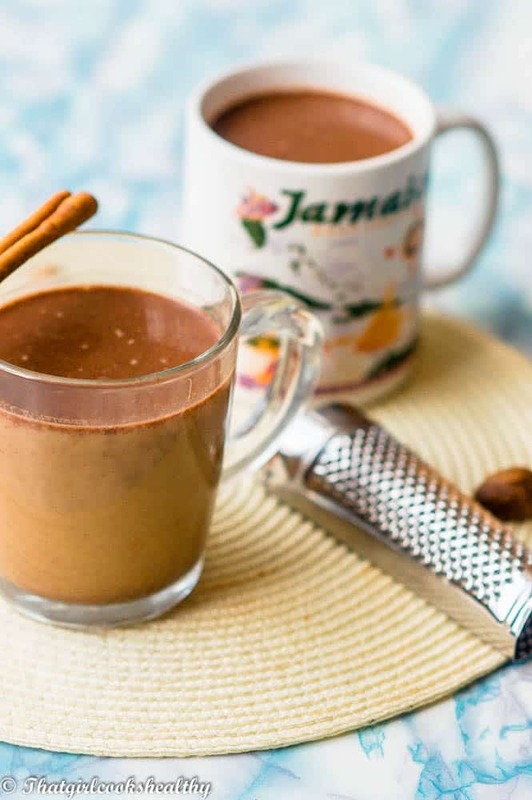 What is Jamaican hot chocolate? 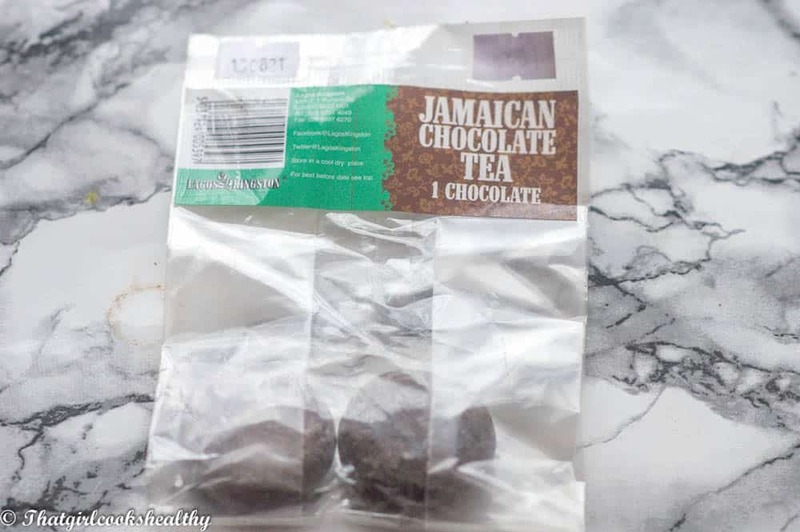 Jamaican hot chocolate sometimes known as cocoa tea or chocolate tea is a breakfast drink made from grated chocolate balls (see picture below). It is NOT the same as Western hot chocolate that is in it’s powdered form. They aren’t remotely the same and the taste is a complete contrast to what you’re probably used to (if you’re not from the Islands). There’s this unique slick of oil that stay suspended on top of the chocolate when it’s made, that let’s you know this is the real island deal. In order to make the chocolate balls, the seeds are extracted from the cacao pods and left to dry out for roughly a week in the blazing out sunshine. This is done to not only increase the taste of the chocolate but also to remove it’s moisture. The seeds are then roasted and ground using a mortar and pestle and then moulded into golf balls sized chocolate and sold. 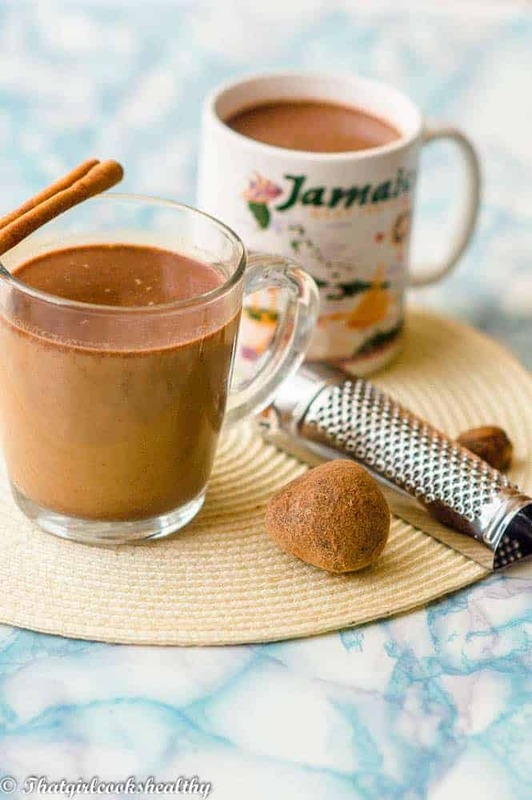 Most of the Caribbean islands, more specifically the English speaking Islands such as Trinidad and Tobago, Barbados, Antigua, St Lucia, Dominica, Grenada just to name a few also refer to it as Chocolate tea. Some of these Islands tend to add a thickener such as flour and additional spices like star anise and bay leaves. In order to make true chocolate tea, you will need to get hold of some chocolate balls. I got mine from here , you cannot use cacao powder or any other powdered chocolate as it won’t replicate the results. Grate the chocolate – the chocolate balls need to be grated before we can make tea. Two balls are more than enough and they are very easy to breakdown in a matter of minutes. I like to also grate my fresh nutmeg into the chocolate and mix them together. Boiling the water – Before adding the fine chocolate, bring the water to the boil. I do this and add a cinnamon stick to the water. If you can get hold of some cinnamon leaves, even better, go ahead and use those!! Milk and sweetener – As this is a vegan recipe my choice of milk is almond milk. You can use coconut milk if you wish and I also use condensed coconut milk with a small amount of coconut sugar and sweeten to taste. Straining the chocolate tea – It’s best to strain as you’re serving the tea, just balance a sieve over each cup as you’re pouring out the tea to get rid of the grit. Grate both of the roasted chocolate balls into a fine powder on a plate. Bring the water along with the cinnamon stick to the boil for 5 minutes in a saucepan. Thanks for this recipie. I bought Chocolate tea sticks on vacation as a souvenir. I had no idea how to utilize this product until now. I enjoy looking at my photos and sipping on a tasty souvenir of my travels. Thanks again for this recipie and I’m looking forward to another adventure in Jamaica! Hi Tina. Chocolate tea is a true favourite of mine. You will certainly enjoy your tea when you make it, definitely evokes memories of the tropics. Enjoy! !